The Proust Questionnaire, popularized by the French essayist and novelist Marcel Proust, is said to reveal a person’s true nature through a series of probing, soul-searching questions. In the hot seat today: Andrea Pyros, author of the contemporary MG novel, PINK HAIR AND OTHER TERRIBLE IDEAS (Capstone, 2019). What is your greatest fear? Harm coming to one of my children. What is the trait you most deplore in yourself? I’m a chronic (over) worrier. See above! What is your greatest extravagance? Pedicures. What is your current state of mind? Grateful. What do you consider the most overrated virtue? Purity. I mean, c’mon! On what occasion do you lie? I try not to lie all that often, but I’ll never give up the occasional white lie. Which words or phrases do you most overuse? “Take it one step at a time,” “Do the best you can.” My kids are no doubt tired of hearing these from me. I also love every sports cliché and I’m not sorry. What do you consider your greatest achievement? Not letting life’s hard knocks knock me down permanently. If you were to die and come back as a person or a thing, what would it be? Ooh, that’s a tough one! I am cheating by going back to prior authors. What is your most treasured possession? I can’t think of anything beyond my family and our dog Rye (the best dog ever). What do you regard as the lowest depth of misery? The sufferings humans go through caused deliberately by other people. Even the most twisted writer couldn’t think up something as horrible as the hundreds of years of slavery of black Americans or the Holocaust. What do you most value in your friends? Kindness, a sense of humor, and a non-judgmental approach to life. Who are your favorite writers? I go through phases. Right now I am all about mystery author Tana French and her Murder Squad series. Who is your hero of fiction? Owen Meany. 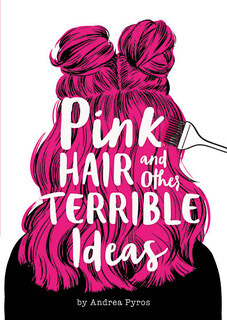 ANDREA PYROS is the author of the upcoming Pink Hair and Other Terrible Ideas and My Year of Epic Rock, which was called “a perfect read for anyone who feels BFF-challenged” by Booklist and “a charming addition to upper elementary and middle school collections” by School Library Journal. 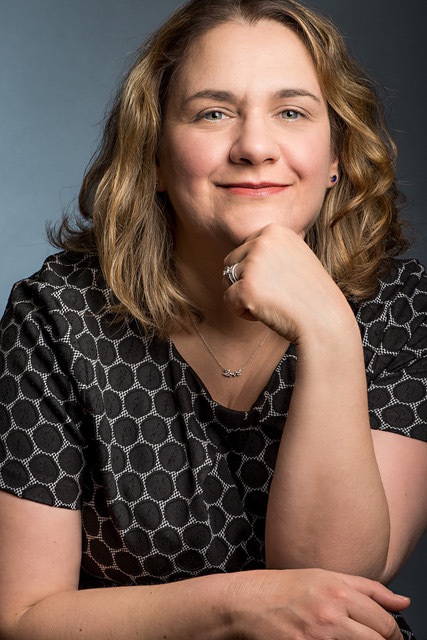 Andrea is a contributor to the popular website From The Mixed-Up Files of Middle Grade Authors and has written extensively for young adults, starting with her stint as co-founder of the pop culture website Girls on Film and then as a senior-level editor at a variety of teen magazines. For more information, you can visit Andrea’s website and follow her on Instagram and Twitter.